Melissa Ching and her husband, Jonathan Loomis, moved to Hawaii from Washington, D.C. in 2003 to take care of her aging grandparents. Because they didn’t know many people in Hawaii, they joined an Okinawan taiko club to learn a new activity and connect with the local community. 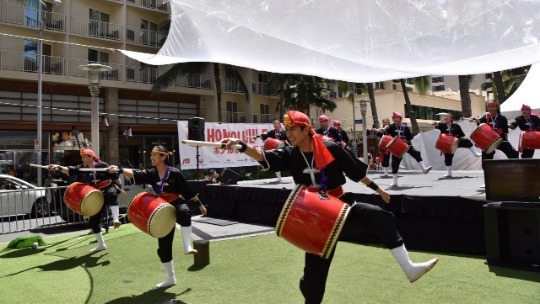 Through Ryukyukoku Matsuri Daiko Hawaii, they’ve made friends with other taiko drummers in Honolulu and the club’s chapters on the Neighbor Islands, Mainland, Japan, South America, and in Okinawa. The club performs a contemporary version of traditional Eisa taiko in which members play drums carried on a sash around their neck. To increase outreach, the club’s founders in Okinawa incorporated upbeat modern music and martial arts movements in the dance. And women and girls are allowed to join. This has helped to attract younger members. “Our club members range from keiki to kupuna. It’s a nice ohana structure,” says Ching, a teacher at Red Hill Elementary school. 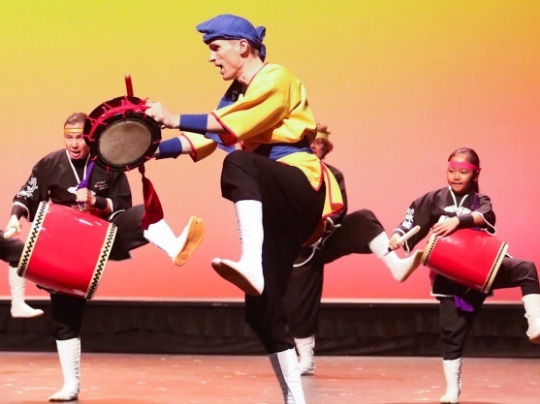 Taiko has given Ching and Loomis, both school teachers, the opportunity to connect with other taiko clubs statewide while performing during the summer bon dance season and at cultural festivals throughout the year. They’ve even made friends internationally at taiko events in Japan and Okinawa. “Even though language is a barrier, we can still play music together. 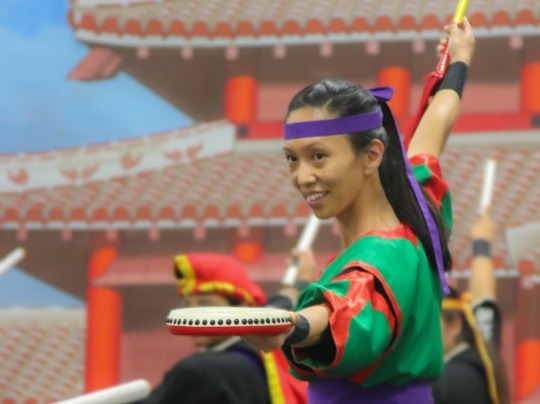 We communicate with each other through taiko,” says Ching. Although Ching and Loomis aren’t Okinawan, they’ve found a deep connection to its music and culture. “We’re Okinawans at heart,” she says. Photos courtesy of Emily Ishii and Ryukyukoku Matsuri Daiko Hawaii.